Can I get baptized, Mom? Great question! Many children ask this question after they witness one of their friends getting baptized in church or they talk with a friend who has. To answer their question, we first have to ask a question of our own. Have you asked Jesus to be your Savior? We then follow this up with asking them if they want to promise Jesus that they will live for Him and do what He asks of them the rest of their life. 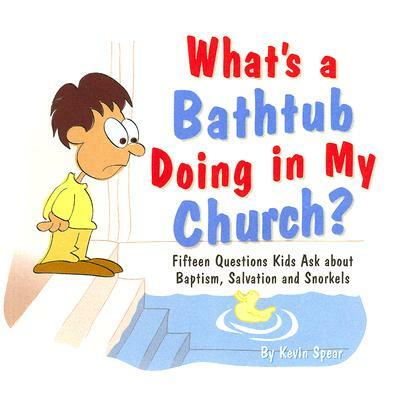 These questions and several more review questions are asked when a child's parent initiates the conversation with one of the staff of CBC about the interest their child has in baptism. Please note that we say when the child has expressed an interest in baptism, not when a parent expresses an interest in their child being baptized. This decision is made first and foremost between the child and Jesus. Then it is an agreement with Mom/Dad that it is ok to be baptized. Once a CBC staff member or pastor is made aware of the desire, this information is passed on to Pastor Josh, if he isn't the one who it was first discussed with. Pastor Josh then arranges with the parent(s) and child to have a meeting at the church in which Pastor Josh will check on the child's understanding and acceptance of Jesus' sacrifice for them and then he will discuss baptism with the child, making sure they understand what baptism is really all about. Lastly he will take the family on a tour of the baptistery area and explain the process. Once this is complete, Pastor will share his evaluation of the child's understanding and level of readiness with the parent(s) and leave it with them to make the final decision on whether to move forward with baptism and schedule a date or not. Usually the parents head home and discuss the meeting and return a phone call to Pastor Josh later in the week with their decision. If it is decided to move forward with the baptism, whoever is overseeing the baptism ministry at the time under head Pastor Steve Reynolds will contact the family and arrange details and confirm the date. Baptism: A Bible Study Wordbook for Kids by Richard E. Todd. You can also request one from Pastor Josh free of charge. If you wish to schedule a baptism visit with Pastor Josh please contact him either at jbaker@capitalbaptist.org or 703-560-3109 x118.